Three Bedroom Apartment Within Walking Distance To Middle Beach. Beautiful Area. Enjoy a nice affordable vacation in Westbrook, CT.
Nice three bedroom apartment within walking distance to Middle Beach. At low tide, walk to Salt Island and explore marine life and protected bird species. Awesome sandbars at low tide. Great fishing area. World record striped bass caught nearby. Double kayak available for exploring shoreline. Walk to Waters Edge Resort, have drinks and dinner, and watch the beautiful sunsets. Many excellent restaurants nearby. Minutes to large outlet center with excellent shopping! Take in a show at the Katherine Hepburn Performing Arts Center. Walk to town green and enjoy free entertainment. Enjoy a cozy fire at night in fire pit on property. Gas grill, all appliances. Sleeps 6. Terrific option for close affordable vacation. Academic rentals in off season. While this is a two apartment home downstairs apartment is not used while renting upstairs unit. Renter will be the only occupant and have private use of property. Washer and dryer in apartment. 3 night minimum off season, 5 night minimum in season. Please contact owner to discuss rates of 30 days or more. Owner can be flexible and work with interested parties. Thank you. Avid fisherman. Charter Boat Captain. Connecticut business owner, computer sales and service. Enjoys the shoreline and all it has to offer. Lovely property. Nice yard. Terrific neighborhood. Close to beach and many attractions. Great neighborhood. Friendly area. Terrific restaurants. Many attractions. Lots to do! This property is approximately 2 blocks from the ocean. Great area for jogging and walking. Great yard for kids. Fire pit in back yard. Love th location and the apartment. Best landlord ever! Plenty of room and a great location. Lots of restaurants near by. Not far from the interstate so it is easy to get to work. The landlord is great at responding to calls and maintenance issues. Loved how close to the beach and everything. We had a great time and defiantly will stay here again. It was a great place to visit with in-laws that live in the area, easy for them to find and relax and visit. Had everything we needed and very nice street and very relaxing. Love the attatic bedrooms and upstair bedroom views. We had a great time. My family of 5 (2 adults and "kids" ages 19, 16, and 14) had a wonderful weekend get-away here. Without much notice, Joe was able to accommodate us with a very last-minute request to rent this apartment. The apt. was clean, well-equipped, and had plenty of space for us. It had everything we needed and was exactly what we were looking for. The house is close to the beach (maybe 8 houses away or so), so we loaded up the beach cart and chairs (all provided with the house) and strolled down to the beach to enjoy the beautiful, unseasonably warm October weather. We had a great time and hope to return again! Thanks Joe and Kathy! We really enjoyed our stay. The house was beautiful and large enough for the 5 of us. The children loved to use the bikes and the kajak. Joe was a perfect host. We enjoyed our stay at this beach vacation rental on the Westbrook shoreline. The apartment is less than a five minute walk from a lovely quiet private beach. The three bedroom apartment provide ample room and had a large updated and very clean kitchen and bathroom. Owner was a pleasure and provided extra snacks and toiletries to make our stay easier. Plenty of towels, beach chairs and even a kayak to use. Very helpful to also have a washer and dryer available. Air conditioning and the intenet made us feel at home. Would definitely stay here again. Loved that they made it baby friendly for us! Just a few nights-get away from it all-first trip with baby-stay. Joe made it very baby friendly for us, which I was extremely appreciative of! At price point it's hard to find, but Joe set up a pack and play with the mattress and toys, as well as a high chair assembly at the table for Rowan. The mattress in the room that we stayed in was a lot to be desired, but other than that it was perfect for us! Not a lot of places for Rowan to drift off to, so it helped that he was contained as well as safe, too! Loved that it had a full kitchen, two bedrooms and a washer and dryer there, as well! Centrally located between East Haddam (family) and Branford/New Haven (family), Essex Steam Train near by, completely scenic Boston Post Road and the most amazing pumpkin donuts just 2 blocks away! Plenty to do. Nearby outlet shopping, beaches, fishing, shows, and great restaurants. Great area for recreational activities. 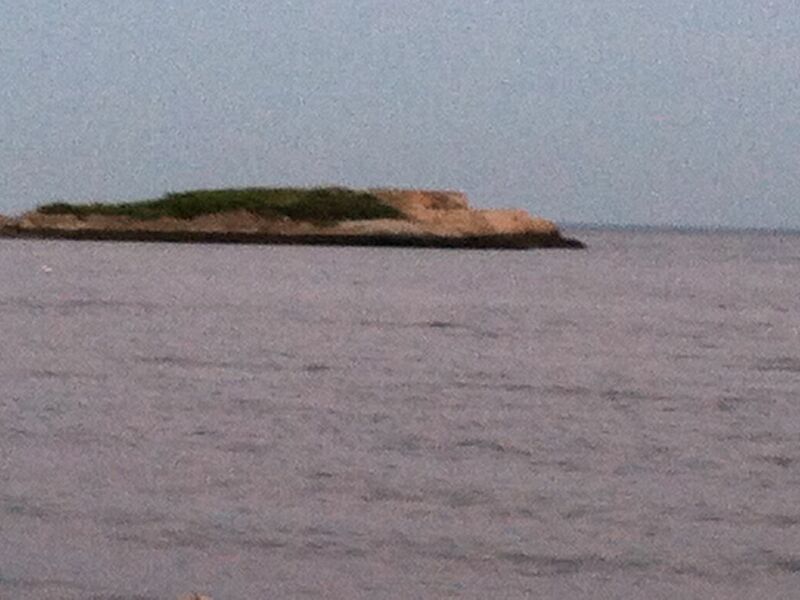 Walk to small island which is a nature preserve. Walk to wonderful resort that has great restaurants and outdoor bars. Plenty to do. Academic rental includes utilities. Higher deposit required. Please contact owner. Academic rates can be negotiated at a much lower rate with the owner. Please contact the owner to discuss.